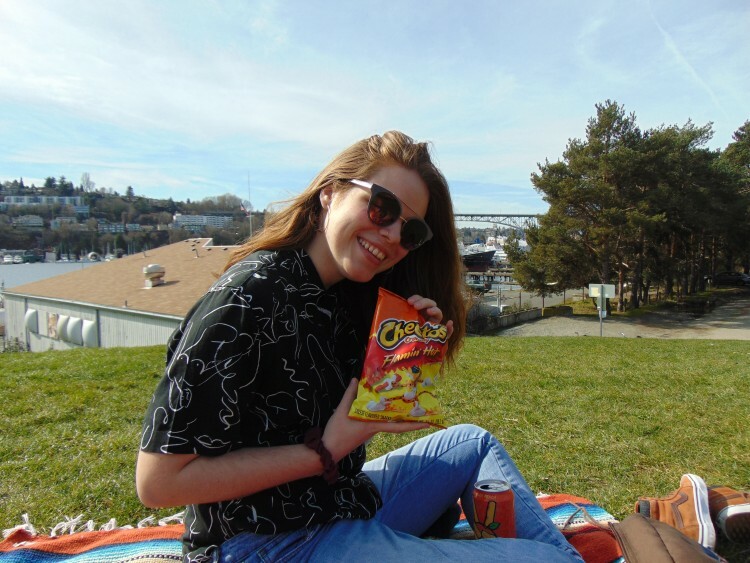 UW sophomore Cara Mischinski is preparing to depart for Brisbane, Australia with the OMA&D-affiliated exploration seminar studying the design of engineering materials and structures at the Queensland University of Technology. During the group’s time “down under,” Cara will be sharing regular blog updates. My name is Cara Mischinski, and I am going to (be attempting to) keep you updated on everything that is going on with the 2018 UW STEM Study Abroad trip to Australia–a brief thank you and shoutout to UW College of Engineering, Office of Minority Affairs & Diversity, Queensland University of Technology. But, before we have even thought about how we are getting to the airport (or at least before I have), you guys should get to know a thing or two about me. I could give a little context for one of only two information sources of this wild international excursion down unduh, you know? Here is a photo of me with one of my favorite snacks in Gas Works on a (rare) sunny March day in Seattle! A profile picture on at least one platform, this image accurately enough portrays what I look like and what type of energy I give off. First off, I think(know) I am funny. You will have to suffer through the consequences of that, and I won’t apologize for it. Second, I’m from North Carolina, and (full disclosure) I did not like it for almost the entirety of the time I lived there. HOWEVER, now that I live across the country I do like to use my Southern Heritage™ to flex on Seattleites in our limited areas of superiority (fast food options, cost of living, diversity, fast food options, driving abilities, end list). I’m sure this will come up at some point over the next month, so I figured I’d just let y’all know now. As for my academically relevant information, I am an incoming sophomore at UW, and I was just recently accepted into the Materials Science and Engineering Department (woohoo!). 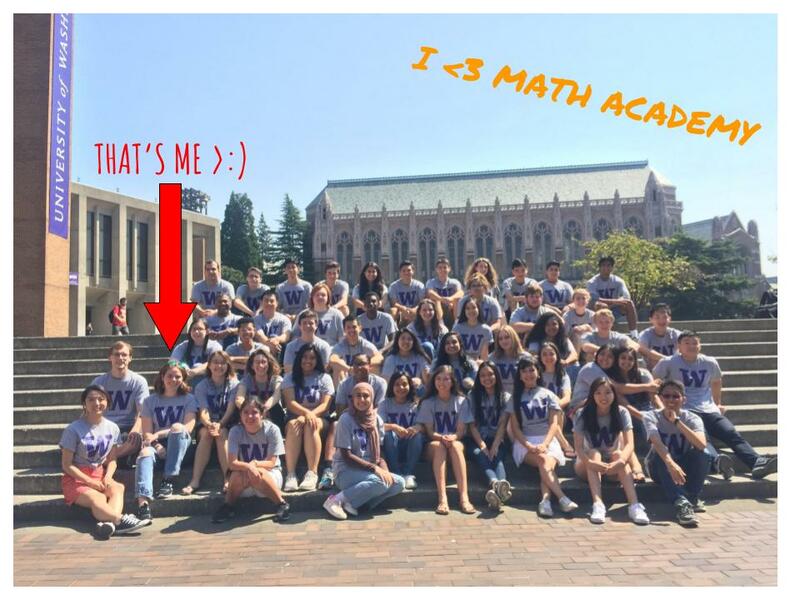 I have been involved with UW CoE and OMA&D since last summer as a part of the 2017 WiSE Bridge Cohort, then as a math tutor in the Engineering Academic Center, and most recently as an RA/TA for Math Academy. I am very passionate about making STEM fields more accessible for and welcoming of minority students, so there is no doubt that I am thrilled to take part in this program organized by OMA&D. Not only will I be doing some real materials engineering for the first time with a diverse group of my fellow UW engineering students, but I have the privilege of doing it all in a new country, learning a culture that I know nothing about. My job as an RA and TA at UW Math Academy just came to a close this past week. Ok maybe not nothing; I’ve got a few Australian pop culture references to cling onto (looking at you, 5 Seconds of Summer). However, beyond my superficial “shrimp on the barbie” understanding of Australian cliches, I don’t really know too much about authentic Australian culture. A country that was at one point a prison colony must be pretty interesting. Not to mention, there is the culture of Aboriginal Australians that I know next to nothing about. I’m more than ready to throw myself onto this foreign island with this lovely cohort and try to figure out this country and our engineering project (and maybe even ourselves??? If we’re lucky) together. We have quite a month ahead of us, and I impatiently await our departure and the opportunity to keep you lovely readers updated on our antics! Back to other blog posts here.